Not only is it the home of the University of Florida, the state’s Museum of National History and the renowned UF Health Shands Hospital, it’s a thriving city of its own. The nationally-ranked institutions play a role by constantly attracting bright and diverse students, faculty, staff and researchers. But these days, home buyers also are targeting Gainesville for its centralized location, cultural offerings and horticultural beauty. It’s why we at ICI Homes placed one of our most unique communities — Oakmont — in Gainesville. Read on for more on why we think you’ll love living in a special part of Central Florida. Located in the northern part of Central Florida, Gainesville puts its residents within easy reach of other Florida destinations. You’re only two hours north of Orlando’s world-class attractions and only 40 minutes north of Florida’s horse country in Ocala. Interstate 75 zooms north and south on Gainesville’s west flank, making it easy to connect to Florida’s other interstates. Founded in 1853, the University of Florida is the state’s largest university, boasting more than 50,000 combined undergraduate and graduate students. Its athletic teams compete in the Southeastern Conference and have hauled home national championships in multiple sports. A football Saturday at Ben Hill Griffin Stadium — or the “Swamp” — is a bucket-list experience. Downtown Gainesville’s busy, funky vibe, coupled with traditional architecture and modern businesses — restaurants, bars and art galleries — compliments the UF campus. Historic neighborhoods with restored homes and buildings remind visitors of the area’s past. Today, the healthcare and research industries, among others, are attracting top talent and new residents. 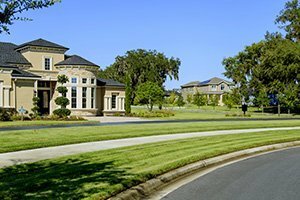 ICI created Oakmont — a 556-acre “lifestyle” community — as the first of its kind for Gainesville. 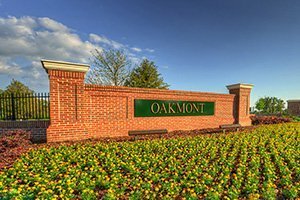 Located west of the city, near I-75 and 10 minutes from UF, Oakmont delivers major amenities, multiple neighborhood choices and a large selection of flexible home plans. But, you must go see it. Oakmont’s acreage isn’t bulldozed from scratch. Its communities are sited on gentle hills and flats that are characteristic of this part of north Central Florida. Vistas abound, as does the prodigious tree canopy that’s another regional characteristic here. Prepare for huge live oaks dripping Spanish moss and welcome shade, while pine trees and other hardwoods add variety to the forested backdrop. At Oakmont, Alachua County’s natural riches have been carefully curated to welcome future generations of residents. Those amenities we mentioned? You won’t find them elsewhere in Gainesville. How about a 6,000-square-foot Residents Club that includes a generous, in-house fitness center and all-purposes community spaces? Outside, you’ll find four tennis courts and an outdoor basketball court, and a giant, resort-style pool with competition lap lanes on one end, and a free-form entry and fountain on the other end. Plus, an amphitheater! Yes!